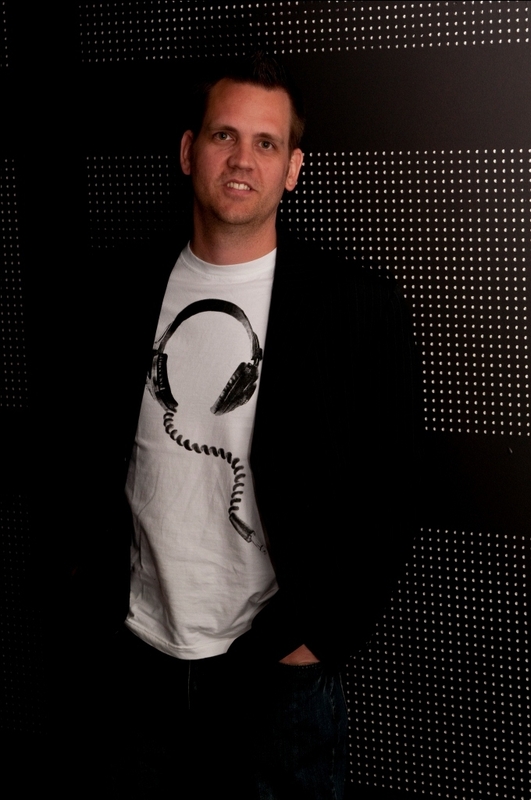 Brett Costello talks Oz Urban Radio and the Internet Radio Takeover! It’s an old adage in the global urban music community that the decline of Hip Hop is attributed due to the influence (or lack thereof in Australia) of the radio. For the Australian urban music community, the lack of mainstream R&B / Hip Hop radio has not really seen us getting involved in that global debate as such as we have never really had the privilege of radio stations being solely committed to providing 24hr urban music in this country to date. Enter community radio and the game changes, giving many dj’s the launch pads for not only their own careers, but in forging a link between the music and the listener and creating sub niches in a community starved for urban radio. Yet even with community radio waving the flag for urban radio promotion the country over, radio shows are at times only heard within the confines of the area the stations bandwidths reach and if some stations were lucky enough to have a national satellite, well across Australia you would go. That was some 10 years ago now and since the introduction of internet radio has come into play, the ante for urban radio has been upped to an all-time high. And no-one knows more about that ante than Brett Costello, pioneering radio / club dj and CEO of Oz Urban Radio, the premier online portal for all urban music radio shows in Australia. Costello, armed with over 2 decades in the Australian urban music industry has created the perfect platform for urban music radio shows across the nation to be heard on an international level, gaining recognition for both radio presenter and DJ’s alike on the Oz Urban Radio network. Current shows on the portal include Costello’s own worldwide syndicated radio show ‘The Urban Meltdown’, Perth’s ‘The Clique’ radio show, Sydney’s ‘Mixxbosses’ and ‘Soul D’Lite’ shows plus a plethora of other shows across Australia and the globe. Thanks for the opportunity to talk to you Brett – how has life been treating you of late? You are the creator of OZ Urban Radio, an online platform hosting some of Australia’s hottest urban radio shows across the nation and the world. Can you expand on what the mission statement of Oz Urban Radio is and how it came about? For too long in Australia we have been deprived of the world’s leading urban music, and now it’s time to hit back. It’s what internet radio should be, with real music, real presenters, real shows. Major stations in Australia obviously have to pander to their advertisers and are left with a mostly limited playlist of 40-50 songs. There is no way they can break new music, or play your favourite classic Jams. There is a real opportunity for internet radio to fill this niche and this is the mandate for http://www.OzUrbanRadio.com – 24/7 urban music for you! What do you think is the greatest benefit in having podcasts / internet radio in Australia’s Hip Hop community? From an artist perspective it would have to be promotion. We are breaking plenty of independent and local artists – as well as more established artists. Being able to tune in to internet radio and get the kind of music you want at any time of the day (instead of the token commercial track on major radio) is a really nice option to have. How has the internet advanced the reach of urban music on a global scale and should normal radio be worried of stance in the world? I think terrestrial radio has a while before it has to be worried as such, however I know that a lot people now get in their car and will listen to radio stations from all over the globe through their phone on applications like Tunein radio or Radionomy. It’s not a given that people will necessarily listen to the local FM station any more. Internet streams are now of fantastic quality (normally 128kbps) – whereas most early streams were only half of that. People’s phones and the networks can now cope with that level of streaming and it’s actually a viable option for some fantastic listening. How do you decide what music programs / dj’s / formats get played on Oz Urban Radio? Is there an application process? We actually head hunted specific programmes from around Australia and the globe that we wanted to feature on the station. Some of these show’s you can’t access anywhere else in Australia. We have shows from the USA, Australia, UK and Ireland on the station. We are open to considering additional shows in the future, and aspirant broadcasters can link with us through the website. What are your thoughts on Hip Hop and the state that it’s in right now? It feels to me that we are in somewhat of a transitional stage. A lot of people are disgruntled with overall state of Hip Hop on a global level currently. Someone will step up and take the lead, and take this thing in a new direction – it’s just a matter of time. Why do think there still seems to be a glass ceiling in mainstream Australian radio and television when it comes to fully embracing urban music, movies, artists and the culture in general? This is an interesting question and I will answer it (carefully) like this. In Australia we do not have a critical mass of people who will be fully supportive of Urban music. In the US there is a huge African American market of course. In the UK there is a large community of West Indian / Jamaican heritage. While we are very multicultural in Australia, we don’t seem to have the critical mass to make the major labels; stations etc. sit up and listen. In the end it’s a commercial decision for them. What is does however, is open an opportunity for niche providers such as ourselves to provide a much needed global service with an Australian flavour. How do you ensure that Oz Urban Radio puts Australia on the internet radio map and what makes our shows different from the millions of other internet radio shows around the world? What is the future of Oz Urban Radio? Where do you see the portal in the next 5 years? I would hope we can position ourselves as the first choice for Urban listening in Australia – whether online or terrestrial. The moves in technology make this a real possibility. Give us a try now!! What would you say motivates you and your team to produce and promote some of the hottest radio shows/ DJ’s in Australia? Talking on behalf of everyone involved, it’s got to be the passion for the music. I actually worked at commercial radio for 6 years, and the difference between what I did as a specialist music presenter compared to someone who is working to a playlist created by a music director is that I have found the track, enjoyed it and made a conscious decision to promote this particular track and artist. You can hear the enthusiasm in someone’s voice when they have been fully involved and engaged in the process – this is their passion.